Russia Just Selected a New Group of Cosmonauts. What For? Russian spaceflight comes to a crossroads. Last week, Russia’s Roskosmos State Corporation announced the names of eight new candidates for cosmonaut training, the lucky survivors of a rigorous year-and-a-half-long selection process. 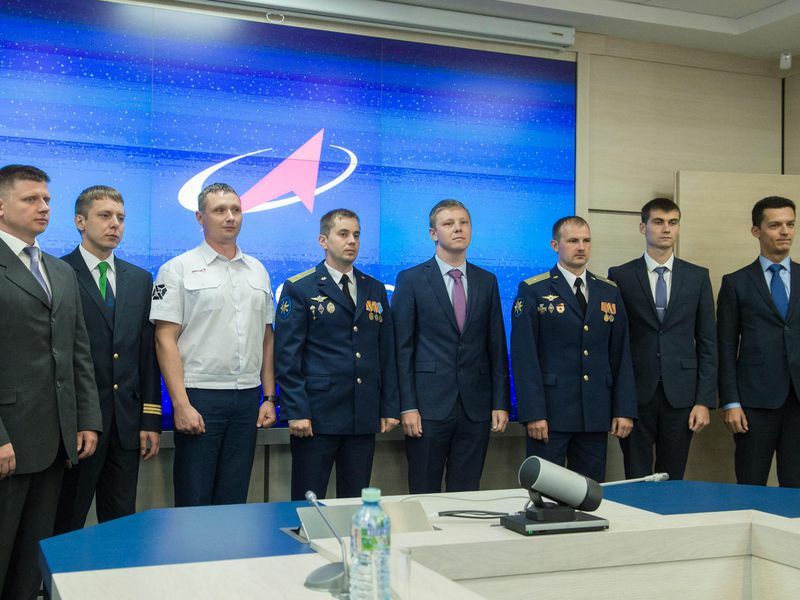 Over the next two years, the group of four military pilots and four engineers will undergo preparations for spaceflight. According to the official announcement, the 2018 class of cosmonauts will train to work on the International Space Station, to pilot the next-generation Federatsiya spacecraft currently in development, and—perhaps—become the first Russians sent to the Moon. But the recent history of Russian spaceflight includes many cases of full-fledged cosmonauts sitting on the ground for years with no real chance to fly. And the fact that Russian crews aboard the ISS have been reduced from three to two people, and that the first launch of Federatsiya with a crew onboard has been delayed from this year to the mid-2020s at the earliest, mean the new cosmonauts have good reason to worry about their future. On the plus side: Despite Federatsiya’s struggle to get off the drawing board, the good old Soyuz shows no signs of retiring any time soon. In fact, NASA’s recent plans to re-book its own astronauts from Soyuz to shiny new ships provided by Boeing and SpaceX might actually free some Soyuz seats for Russian crew members. Moreover, there are negotiations between NASA and Roskosmos to fly cosmonauts on the new Dragon and Starliner vehicles to ensure the reliable operation of both segments—U.S. and Russian—of the station. There also are reports that Energiya, the company that builds the Soyuz, is raising funds to modify the venerable vehicle for commercial tourist trips around the Moon in the early 2020s. Although two of the passengers on these lunar Soyuz flights would likely be super-wealthy adventurers willing to pony up $150 million per seat, they would have to be accompanied by a professional cosmonaut. Meanwhile, Roskosmos is forging ahead with plans to finally complete its segment of the space station, which would bring the Russian crew back up to three people. Launch of the long-delayed Nauka science module is currently scheduled for November 2019, well before the new cosmonauts complete their training. The launch of Nauka should open the door to further expansion of Russia’s side of the station, including launch of the already completed Prichal module in 2020 and the addition of a next-generation space lab around 2021. 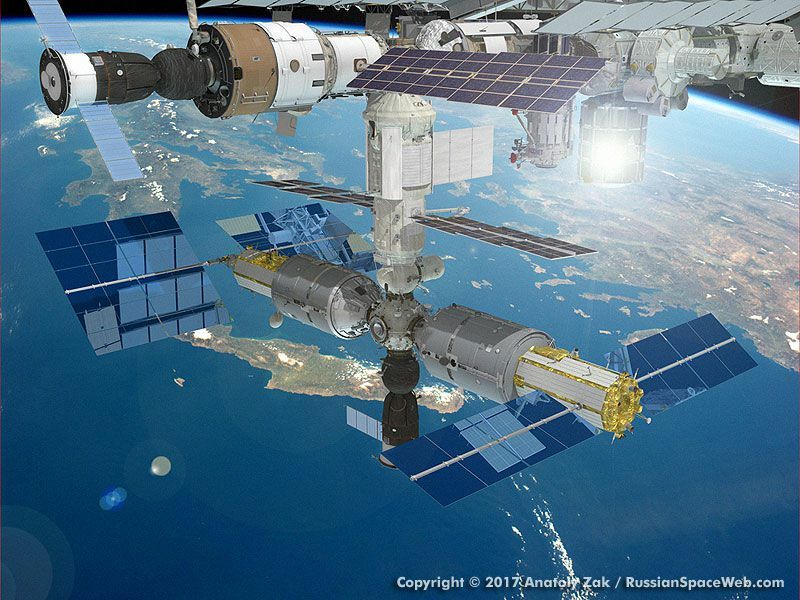 Given the looming end of NASA’s ISS program in the mid-2020s, the Russian government will have to decide what to do with these brand-new space station components. One ambitious option would be to separate the newest parts of the Russian segment and keep them flying well into the 2030s, or even contribute Russian modules to the upcoming Chinese space station. Both schemes would give Russian cosmonauts multiple opportunities to orbit the Earth on long-duration missions. But these days, Earth is only Plan B for the Russian space program. The Kremlin’s main interest is aiming for the Moon. To that end, Roskosmos is now negotiating with NASA a possible contribution to the U.S.-led international gateway outpost in lunar orbit. If the deal works out, it would give at least one Russian cosmonaut a chance to fly aboard the Orion spacecraft as early as 2026. Russian president Vladimir Putin also recently approved the development of Russia’s super rocket. If built, the giant vehicle would give Moscow its own delivery method to lunar orbit, the surface of the Moon, and beyond. Even in the most optimistic scenario, the big rocket would not reach the launch pad until at least 2028, so the new cosmonauts would still have to wait at least eight years after their graduation in 2020 to ride the new rocket. As always for Russian space crews, patience and perseverance will be required.